10% Off of Any Order! Up to 80% off American Apparel! For Women, Men and Kids. Free standard shipping on all 6PM orders! 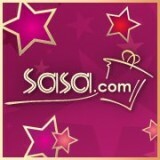 Sasa Cosmetics Free Shipping Promo Code! SaSa Cosmetics Gifts & Promos for Your Besties! Save 10% Off Using Code CAREPACK10! WE KNOW YOU LIKE OUR COUPONS!